1- My words might appear harsh, but they are nothing compared to any possible bloodshed in my beloved Egypt; I write this article to tackle reform that might make Egyptians avoid any future strife and/or bloodshed. 2- Since 1952 Revolution in Egypt from President Gamal Abdel-Nasser until now under the President Abdel-Fattah Al-Sisi, one might observe, based on the conditions of the country, that the Egyptian Army is unfit for rule; its mission is to be confined to defend Egypt. I will not tackle the rule of Muhammad Ali Pacha until his descendant King Farouk I, when the Egyptian pound had more values than the Sterling of GB and the gold pounds. Let us not remember the Israeli occupation of Sinai because it is a painful memory to all Egyptians. Let us compare Egypt to Jordan. Jordan sustained its monarchy and saved itself military coups like in Iraq, Syria, Sudan, Libya, Tunisia, and Algeria, as well as the 1952 coup in Egypt. Although Jordan used to depend on financial aids, it is now better off in terms of economy and politics in comparison to Egypt, despite its population diversity, enmity between Jordanians and Palestinians living with them, tribes' internal strife, geographical nearness to the Zionist entity Israel, corruption of monarchy, and troubles near its borders with the KSA, Iraq, and Syria. To understand what I mean, we observe now that the Egyptian peasants are forsaking their lands, despite their ancestors' sticking to it for 70 centuries, to immigrate to Jordan to work there. 3- During the 20-year era of Mubarak regime in Egypt, the country has been destroyed in terms of finance and economy. Mubarak managed to marginalize and weaken the NGOs and to persecute Quranists and other reformers to make room for the terrorist MB and Salafis/Wahabis to frighten the nation into loyalty to him. Eventually, terrorists of the MB and Salafism (=Wahabism) managed to corrupt education, syndicates, and media in Egypt among other fields, and since the ouster of Mubarak in February 2011, the military council ruled Egypt and left the country to the terrorist MB rule in order to expose the MB members, who are traitors of course, and their corruption and ignorance. The Egyptian people enlisted the help of the Egyptian Army to get rid of the terrorist MB rule within a year, in the 30 June Revolution in 2013. Later on, a president has been elected who was formerly the ministry of defense. I personally think that people has chosen him to keep away the terrorism and danger of the terrorist MB. But has it been a god choice? 4- Economically, conditions in Egypt are worse than before and worsen with the passage of time. The value of the Egyptian Pound has deteriorated before the USA Dollar. Prices have soared high. Unemployment, corruption, and infrastructure deterioration have exacerbated. 20% of the Egyptians suffer chronic diseases. Public debt exceeds 47 billion US$. Tourism continues to fail as well. Some people claim the New Suez Canal has not rendered any revenues yet. The vast majority of Egyptians are poor: living with less than 200 US$ per month. The huge gap between the filthily rich capitalists and the poor has widened more than ever. The Gulf monarchies cannot go one granting financial aids to Egypt forever; they are busy in their problems due to the lowering of prices of oil. The oil reserves of the Gulf monarchies will be used up within five years, some experts claim. I predict that these monarchies will fall within these five years. Some claim that in Egypt, torture in police station goes on along with tyranny of governmental high officials and ministers. All demonstrations are not allowed to vent off people's anger, except with permission from the police who must be notified beforehand. Moat Egyptians have boycotted the parliamentary elections of 2015. I predict that if conditions are not going for the better soon, a revolution of the hungry might ensue. In such a case, destruction will be of biblical proportions! 5- In such predictions, any revolts might turn into a civil war: soldiers, National Security Apparatus, Egyptian Intelligence Apparatus, policemen, and anti-riot members will be against revolting people in such cases. Thousands might get killed in such a case, Heaven forbid. Guerrilla wars might ensue and destruction might be unprecedented. 6- I used to be the coordinator of a weekly forum in Ibn Khaldoun Center in Cairo (closed down later on) from January 1996 to June 2000. We tackled the motto: "To Prevent Egypt falling into an Abyss" and we tried to teach people their political rights and reform public education system in Egypt. 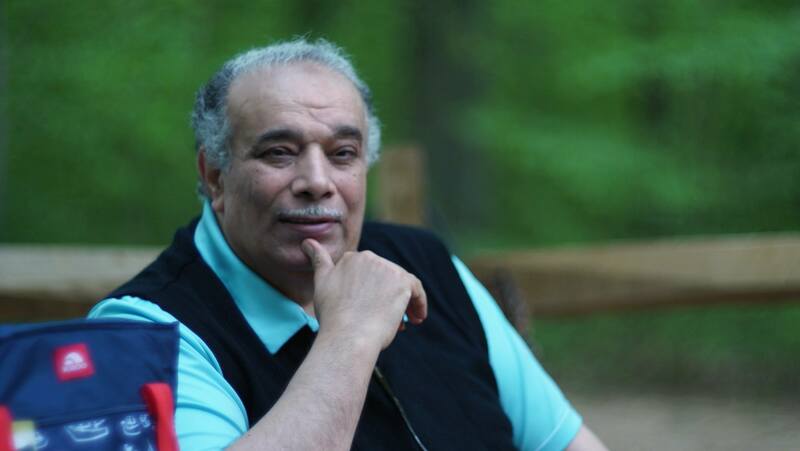 Mubarak closed down the center and persecuted all people in it as well as its owner the American of Egyptian origin Dr. Saad Al-Deen Ibrahim, who has been imprisoned along with some Quranists. I myself had to seek political asylum in the USA. I am afraid that Egypt might fall into a dark abyss, heaven forbid. 7- This abyss might go on to be a source of danger due to the mentality of army men who do not acknowledge democracy and differences in opinions. Their mentality reveres obeying commands as the case in any other military. Civil rule cannot be compatible with such a mentality. What is the solution to this dilemma? 1- Egyptian Army men love Egypt more than their authority and themselves: they helped Egyptians to get rid of the terrorist MB rule. Egypt cannot afford a third possible revolution or revolt now. The army can apply reform and salvage many things. I used to write articles in an Egyptian opposition newspaper to that effect: how to reform and salvage many things quickly and effectively. I fear for my country, Egypt. I will write briefly what I see as a solution. 2- Reform needs only political will of rulers to be realized. Conditions now are favorable, more than ever, to apply reform; Salafis and the terrorist MB have been exposed as terrorists and traitors, which is true of course. Elections of the parliament will prove that their assumed popularity is nonexistent now; Egyptian youth will win the elections if they feel reform is at hand. I do not call for an end to the current rule in Egypt, but to reform it as a phase of democratic transition, not an obstacle against democratic reform. Military men can participate wisely in reform measures. Egypt needs at least ten years to make gradual economic and political reform of many things. The first step is parliamentary session to be held once elections process ends. Many legislation laws need to be ratified and applied to save Egypt from the danger of financial collapse. 3/1: Reform of Al-Azhar educational institution: this type of religious education produces terrorists and distorted poisoned mentalities that are turned into time bombs of hatred toward society and the nation in Egypt. Egypt reaps now the poisoned fruit of mortal taste of bad education, of both types the religious and the public. 3/2: As for the reform of Azharite education, all articles in the Egyptian Constitution concerning Al-Azhar should be omitted: no theology of any kind is allowed in constitutions. Azharite laws should be annulled as well as some Azharite bodies: Authority of Islamic Scholars, Authority of Fatwas, Endowments Ministry …etc. and the sheikh or imam of Al-Azhar must be an appointed minter liable to be dismissed. All Azharite employees over the age of 60 must retire not go on working as the case now, and all Friday sermons must be unified and tackle higher values of the Quran: religious freedom, justice for all, equality on all levels, mercy, peace,…etc. All Azharite curricula must undergo radical change with so many needed omissions. This is can be done via a committee of Egyptian famous non-Azharite thinkers/reformers. We might make use of books by reformers like Muhammad Abdou and his book of interpreting the Quran, among other reformers among the non-Egyptians. All faculties of Al-Azhar University should be secularized by removing all religious education and making them separate public faculties in Cairo. 3/3: I suggest the abolishment of the following ministries in Egypt to ameliorate financial conditions in Egypt: Ministry of Planning, Ministry of Religious Endowments, Ministry of Information, Ministry of Public Transportation, Ministry of Justice, Ministry of Culture, and finally Ministry of Scientific Research. This will allow more room for freedom on so many levels away from bureaucracy. 3/4: Independent bodies must be formed under the Parliament to supervise courts, police stations, prisons, etc. to preserve dignity of Egyptians. 4- All laws crippling freedom of expression in arts, thought, creativity, opinion, and creed should be abolished; liberty to form any NGOs and civil society bodies should be ensured in the Constitution. 5- Government should be responsible of the mission to restore all money stolen and smuggled by Mubarak and his family member and men of his regime. This is better that waiting for financial aid from the Gulf monarchies. 6- The Egyptian Army should so the following missions: restoration of the infrastructure, making full use of Egyptian sea coasts, reclamation of deserts for agricultural projects, building cities around Lake Nasser to increase fish industry, and forcing (by law) the youth to work in new cities to change for the better the demographic distribution in Egypt. 7- The parliament should control the budget of the military. 8- Separation and independence of the three authorities: the courts, the state bodies, and the Parliament within free mass media. 9- Releasing former MB disillusioned youth from prisons when they repent and vow to stick to peaceful means and leaving violence forever. 10- All previous reforms are not difficult to apply; within ten years of such reform, all conditions of Egypt will be better on all levels. The Egyptian Army will thus atone for the grave mistakes of previous presidents before 2011 and will participate in saving our beloved Egypt from total destruction.